The Chief Exec of my county council in Oxfordshire was on the news recently, trying to make light of a further £50 million of cuts by talking up the partnership with big society that would step in to pick up the essentials and minimise the impact. He was talking about cuts to children’s services, services for the homeless and disabled, the vulnerable elderly, and the last of the arts and culture budget that props up community and youth theatre (A certain local constituency MP, David Cameron, has intervened to suggest some of these local services should be protected). It’s a while since I’ve heard the phrase ‘big society’ used in seriousness. It’s clear that whatever the Prime Minster’s big idea was, perhaps imagining some sort of Victorian philanthropic urge sweeping in to cover the traces of the retreating state, if it wasn’t already dead, it’s being properly throttled now. First, we have the fact than a lot of local organisations that do partner with local authorities to run essential services, do so with grants and contracts but those have been cut back and not just a bit, but massively. According to NCVO, Government grants to the charity sector have dropped by a full two-thirds over the last 10 years, in favour of a shift to contracting, which favours larger charities. Overall funding to the sector has dropped 15% in the last five years. No surprise that as those grants and contracts have started drying up, we’ve seen charities rush to polish up a public-facing brand and case for support, to diversify income with investment in public fundraising. Larger charities that could afford to, at least. Again, smaller local charities are at a disadvantage. You’d think government would encourage that. But no. Joining the whipping frenzy over the examples of poor fundraising practice exposed over the summer, instead we face, along with a needed new regulatory framework, controls on fundraising communication no other sector faces. The Fundraising Preference Service will offer people the ability to opt out, forever, of any and all communications from charities. Even the Information Commissioner has said it is unworkable. Now, it may be that not many actual donors will do this, and it turns out to be little more than a sop to charity complainers who are likely not to be donors, but looking to justify why they aren’t. A huge survey of actual donors by Professor Adrian Sargeant tells us that 91% of them are satisfied or very satisfied with the charity communications they get. Room for improvement, but that’s an A* in anyone’s book. But the climate and economy of fundraising is changing radically and rapidly. RNLI has said a decision to implement an opt-in policy to receiving communications will reduce its income by £35 million. It says it’s worth doing on principle, which I guess they would, and perhaps they can afford it. That’s still a lot of money that won’t go on lifeboats and crews. Other charities are saying that enforcing data opt-in rules for telephoning is already reducing contact rates for new supporters by 80%. Scope has said this will cost it £250,000 a year. That pushes the cost of fundraising up, which (along with charities suspending fundraising activity) is driving demand down, and fundraising companies that charities rely on are going out of business. Charity leaders might have found it easy in front of the Parliamentary Committee not to challenge the media portrayal of professional fundraising companies as unscrupulous parasites, but they have been part and parcel of successful and cost-effective fundraising and supporter communications, and employed by their own charities as such. We risk emptying the barrel overboard to get rid of a few rotten apples. The awkward truth, which is difficult for charities to argue publicly, is that the generous public (the UK is the most generous in Europe, as it happens) do not give off their own bat, but need to be asked. We all do. And if charities don’t ask, (or are no longer able to), there’s only one thing that will happen, as the salutary tale of the American Cancer Society, who lost $50 million by stopping asking, shows. Big society is dead. Society in general is in for a rocky ride. And I’m not talking about the charities, but the many people and causes they exist to serve. 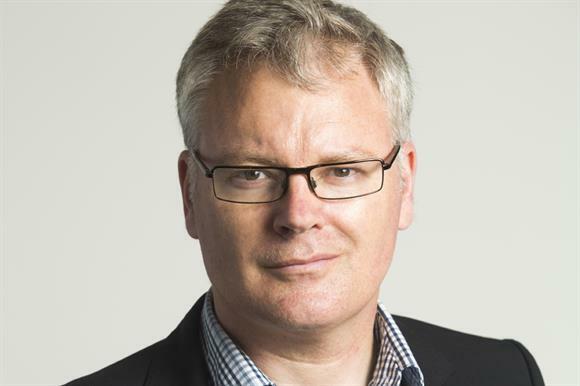 Matthew Sherrington: Who is responsible for a charity's reserves? Matthew Sherrington: Isn't it time we showed a bit more impatience for a bit more ambition? Matthew Sherrington: An International Day of Charity that doesn't cut it. What sort of charity are we talking about?